All heat pumps are built to extract heat from one place so that it can be moved to another. 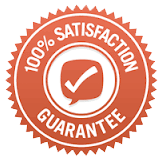 However, this does not mean that all heat pumps are the same, because the devices are built using a startling range of designs and incorporate disparate mechanisms. Heat pumps can be used to heat homes, cool homes, and even make up the core components to refrigerators. Some heat pumps are intended to perform their function using the open air, while others are designed to interact using the ground. All in all, it might be more accurate to label heat pumps an entire class of devices rather than a single device in particular. The exact mechanism that the heat pumps use to extract heat and move it depends on the exact make and model of the heat pump in question. For example, one heat pump might use a compressor to pump refrigerant through a pair of heat exchanger coils. At one coil, the refrigerant absorbs heat and then releases the heat once it passes through the other coil. In contrast, a reverse cycle chiller is set up so that the heat pump is connected to an insulated tank containing water that is either heated or cooled using the pump. As a result, the water stored in the insulated tank can then be pumped to provide either heating or cooling to strategic areas. Heat pumps have a number of advantages. First, heat pumps can be used to either heat or cool homes. During summer, the heat pump can be used to extract heat from the home and then pump it into the outside air. Once winter arrives, the heat pump can be reversed so that it extracts heat from the outside air and then pump it into the home. Second, heat pumps can help reduce the costs of cooling and heating because their usage is more efficient than other heating and cooling systems. Some models of heat pumps are more efficient than others, but might also cost more to install. For example, geothermal heat pumps cost less to use over time, but cost more to install because the process involves drilling down to the heat source and requires more complicated mechanisms. First and foremost, homeowners should research the issue. Heat pumps are best suited to moderate climates that experience no extremes in temperature. However, this does not mean that heat pumps are useless under harsher climates. 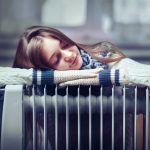 Homeowners can still reap the benefits by using them to complement more reliable heating and cooling systems that can take over during temperature extremes. However, once the heat pumps are installed, homeowners should take care to conduct regular inspections so that maintenance can be conducted as need arises. Failing to maintain heat pumps result in the devices becoming less efficient over time, which can culminate in them breaking down. Homeowners should also take care that their homes have the proper insulation, which will reduce the costs spent to run their heat pumps. To sum up, heat pumps are useful devices that homeowners can use to reduce their costs, but can also cause problems if those same homeowners fail to do their research and neglect their systems.